I have been drinking a lot more tea recently and whilst being in the UK I picked up three kinds of Pukka Tea that I hadn’t tried before. I’m really glad I did because they are amongst the best teas I’ve ever tasted in still user friendly tea bags (sometimes you just can’t be bothered to faff around with loose leaf tea). The mint one is the best mint tea I’ve ever tried (except for an actual fresh mint infusion obviously) and the cinnamon one is something I’d never seen before and I’m so glad it exists because cinnamon is one of my absolute favourite flavours ! When I picked the Vanilla Chai I didn’t know whether I was going to like it or not because I can be very picky when it comes to Chai but this one I love too. It has – in my opinion – just the right balance of spices. All in all this was a very successful selection and I can’t wait to try more of their teas. 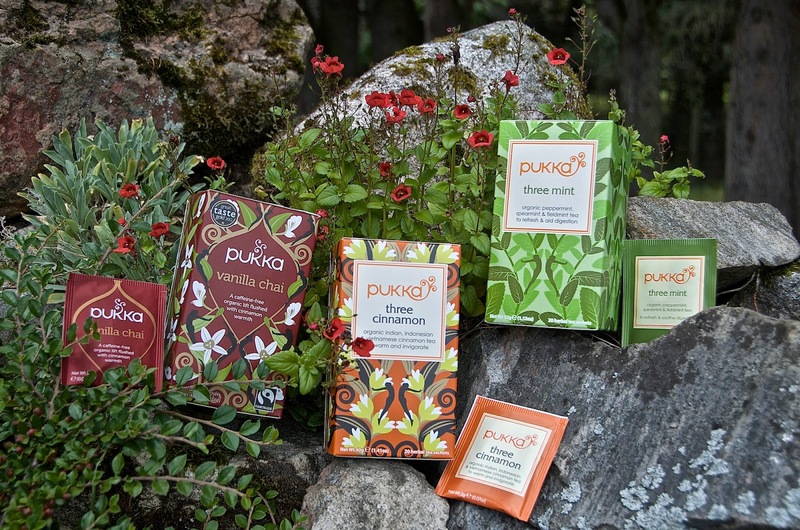 Pukka is available in most supermarkets in the UK and their website ships to Europe and Switzerland. Have you tried any of their teas ? Which one would you recommend ? *They have an offer on at the moment where you can try 10 of their teas for just the cost of postage. If you’re interested click here. I don't think it is atm. They're not shipping to the other side of the pond because of custom regulations (saw that on their website) … I'm guessing that you'll have to come to Europe or find someone who does bring you some back or have a friend mail you some… Hope you get a chance to try it !